Perform a 3 hour job in 1 hour! 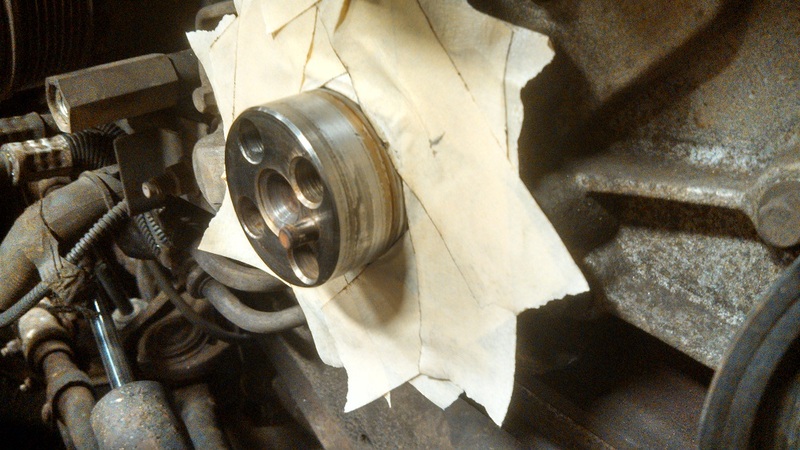 Oil leaks from the front crank seal are a very common problem on the 6.0L Ford Powerstroke Diesel Engine. The Ford special tools required for this job cost over $400 and require 3 hours book time to use following the factory procedure. 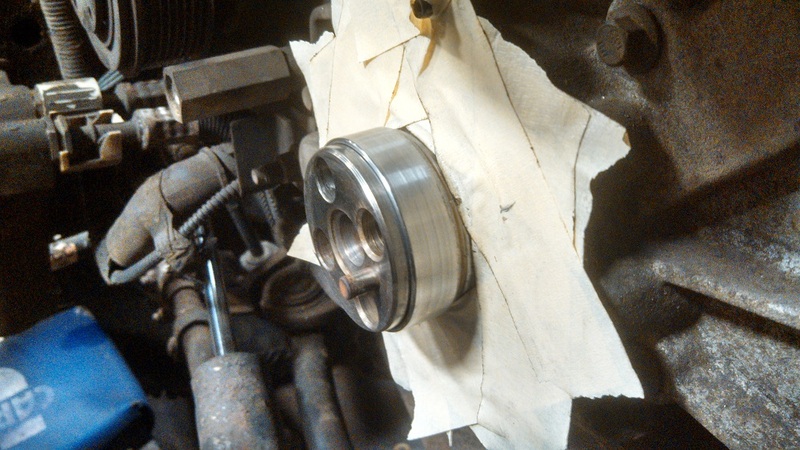 Using our 6.0 Powerstroke crankshaft seal installer and procedure the job can be performed in about an hour. Unlike the factory method, our tool does NOT require removing the radiator, fan, and shroud. The job is nearly impossible to perform without an installation tool due to the delicate nature of the wear sleeve, the location of the harmonic balancer dowel pin, and the fact that the wear sleeve must be driven to a specific depth beyond beyond flush to position in properly. 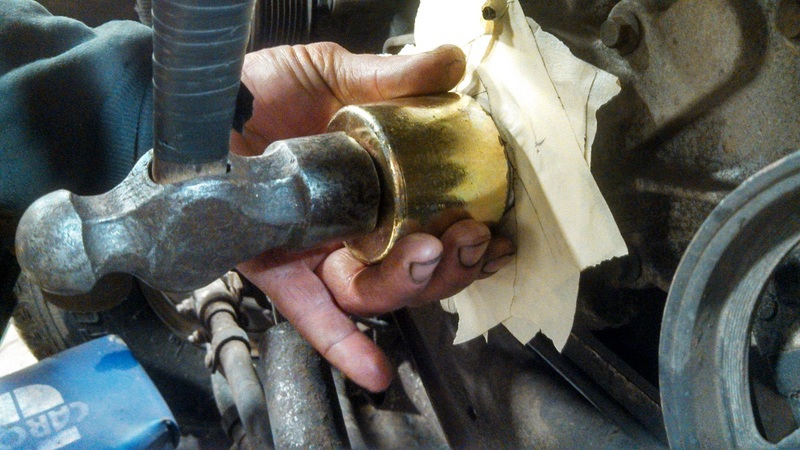 Attempts to install the sleeve without correct tooling usually result in leaks and comebacks. Following are detailed step by step instructions with pictures. Scroll to bottom to order! Please note that these procedures are not intended as a substitute for factory service information. Instructions are intended for qualified professionals. Always use safety glasses and disconnect battery negative cables before beginning. 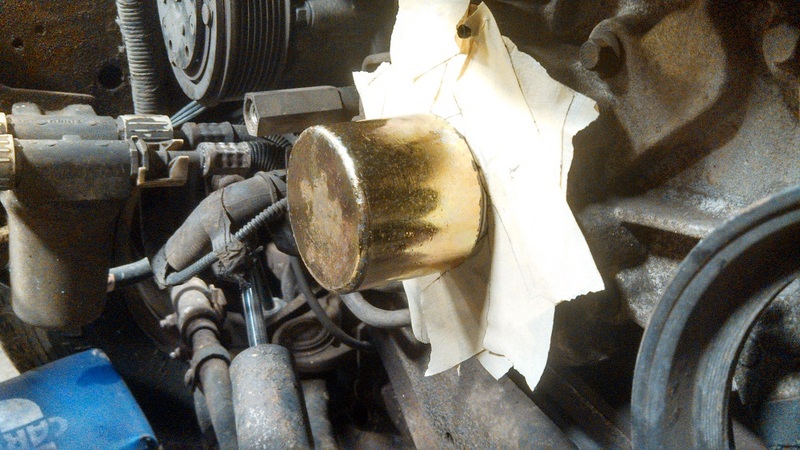 Begin by breaking loose the four front crankshaft dampener bolts. Then remove the belt. 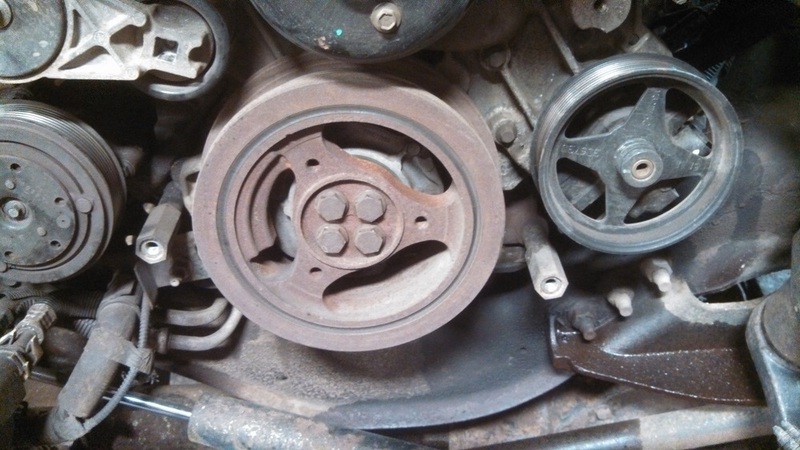 (The belt just needs to be slid off the upper idler pulley to allow enough slack to remove the crank pulley.) Finish removing the bolts and the front pulley. Fan, shroud, and radiator are shown removed for clarity, but removal is not required. 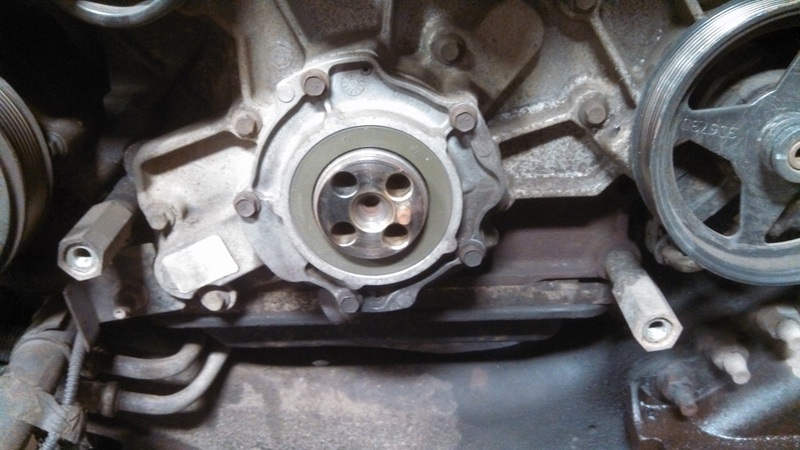 Remove the five 10mm bolts that attach the oil pump cover and crank seal. With the cover removed, clean the oil from the area around the pump. 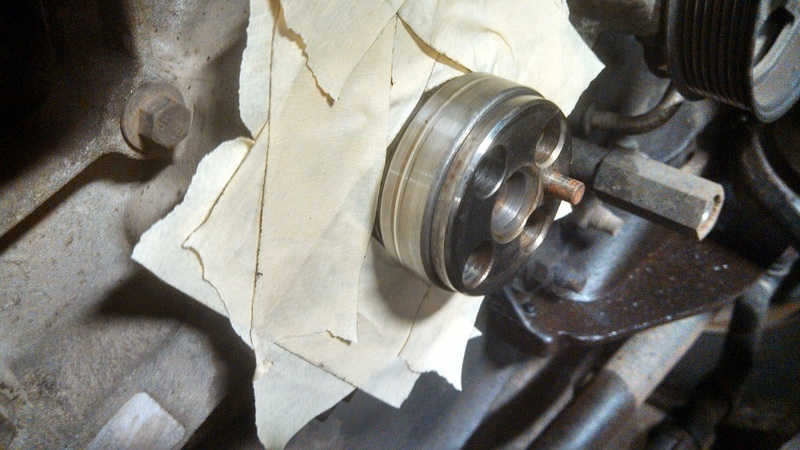 Tape the area as shown with wide masking tape to prevent debris from getting into the pump gears. Use a small cut off wheel such as a Dremel Tool to carefully cut through the old wear sleeve (if present) and remove the sleeve. 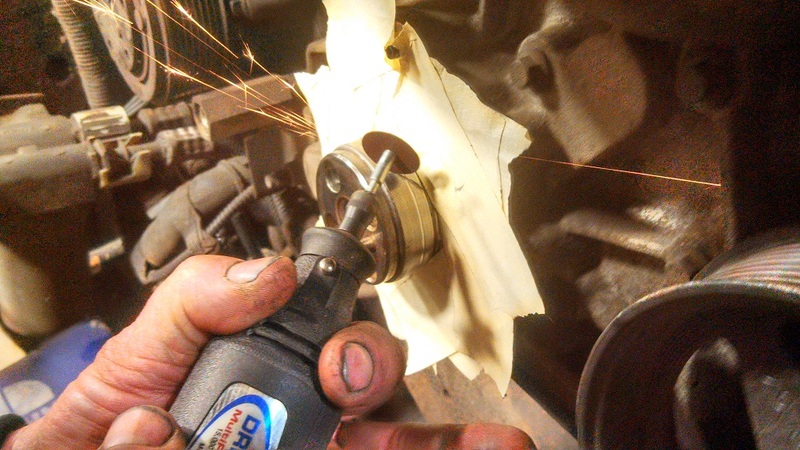 Clean the crankshaft - fine sandpaper may be required. 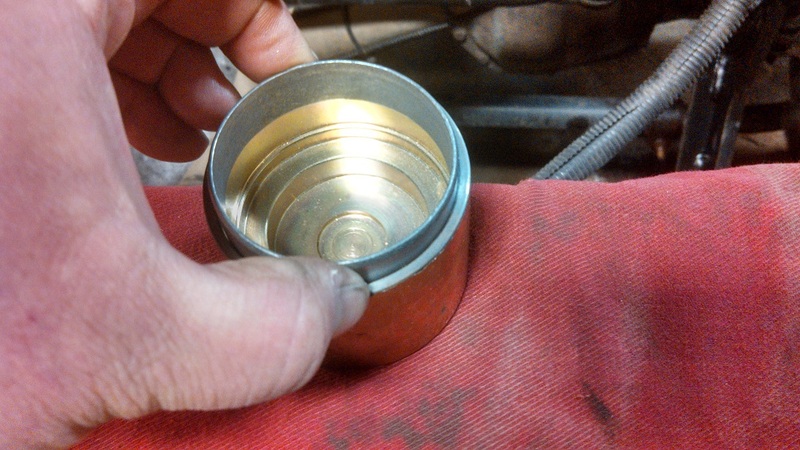 Install the new wear sleeve into the tool and coat the inside of the sleeve with a light layer of red Loctite. Lightly tap installer with a hammer until it bottoms out. Remove installer - your sleeve is now installed to the correct depth. 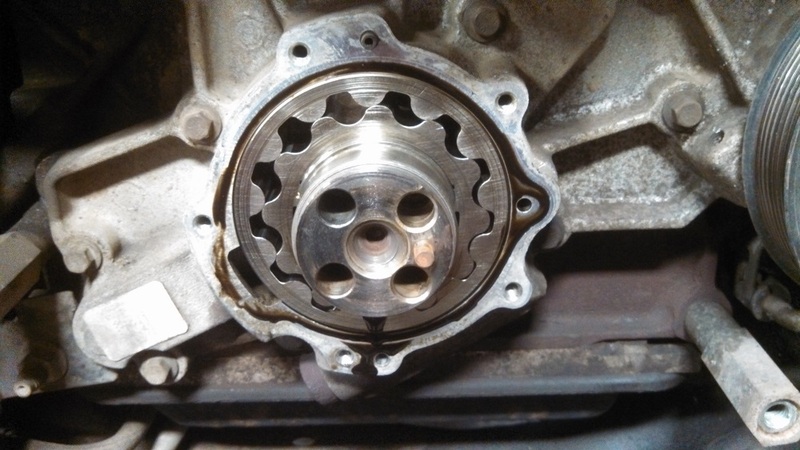 Remove tape, clean surfaces thoroughly, and apply some engine oil to the pump gears. Install new seal into pump cover and complete reassembly.